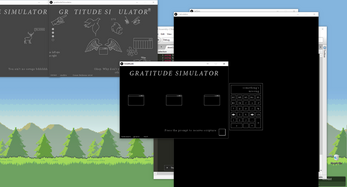 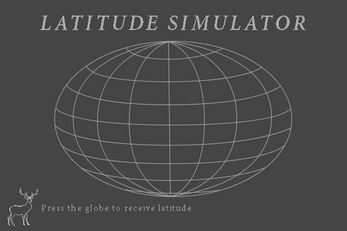 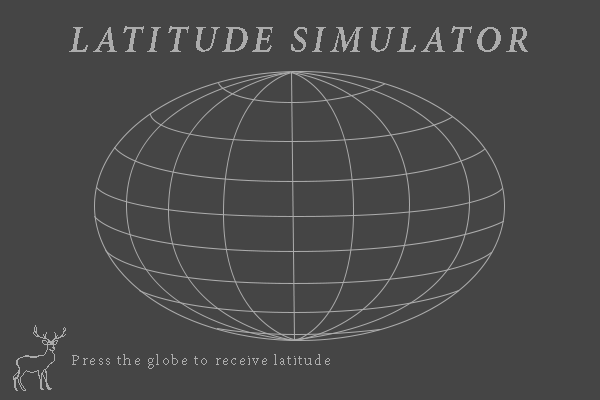 Gratitude Simulator is currently under development. 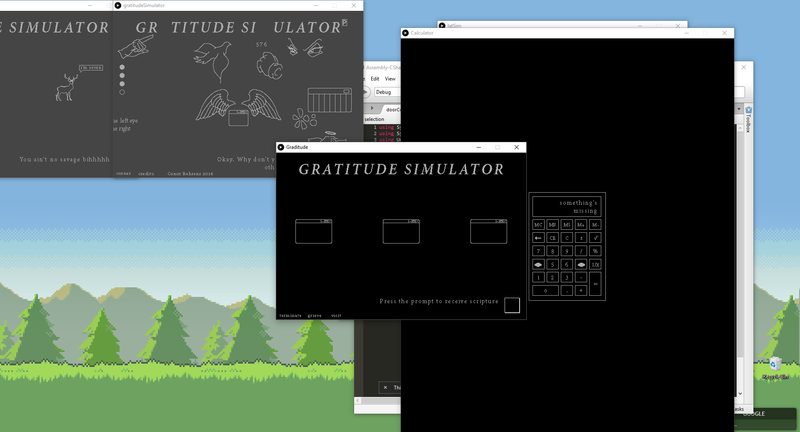 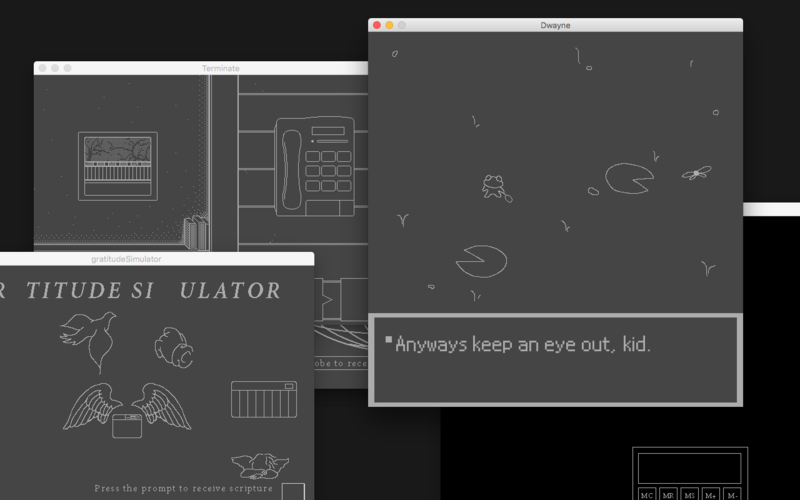 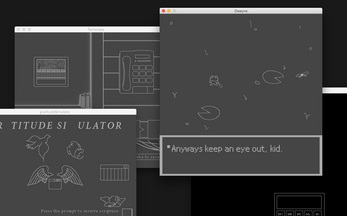 Previously exhibited at NYC Media Lab (2017) and Playcrafting Winter Play (2018). 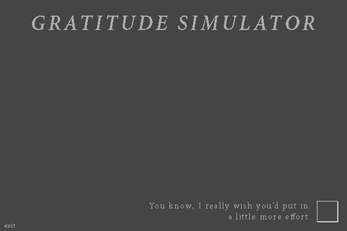 Release date and full trailer coming soon.